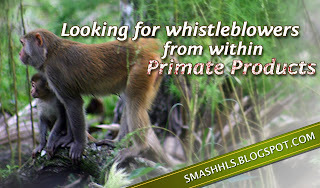 Do your part in ending the moral crimes occurring behind the gray walls of Primate Products! Pictures, video, audio, copies of reports, phone numbers of the bosses, each of these can help! Those working at PP may fear losing their jobs if they provide information. This can be pretty devastating considering how hard it is to find a new job. 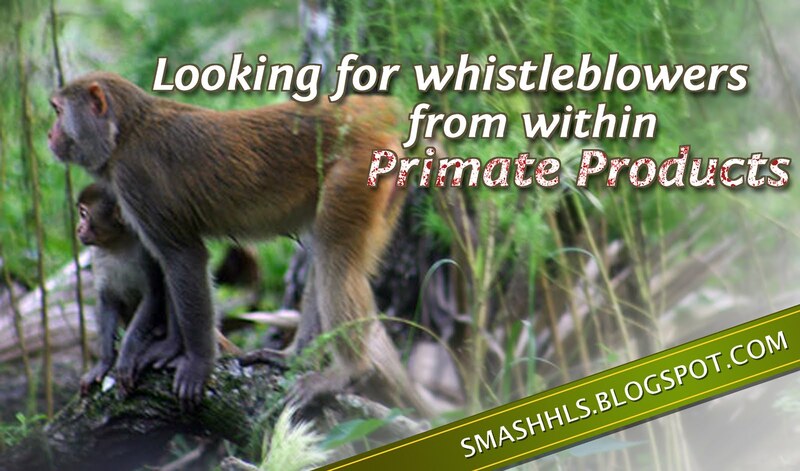 It would be beneficial if someone who makes hiring decisions at a business could help those who whistle blow.